Get Comprehensive Eye Exams Now! Learn the various types of contact lenses and spectacles. Schedule an appointment online in any of our two locations: Las Vegas, NV or San Antonio, TX. For immediate assistance, please call 1-866-1234 now! An eye exam involves a series of tests to evaluate your vision and check for eye diseases. Get more enhanced vision correction than glasses. Get the glasses-free look today! Get a clear digital image of retinal structures which our doctors will review with the patient. Any foreign material embedded anywhere in or around the eye should be evaluated immediately. Enhance your quality of life by getting a medical eye exam with a qualified physician. Don't wait. Our locations in Las Vegas, Nevada and San Antonio, Texas are ready and open to take in appointments. 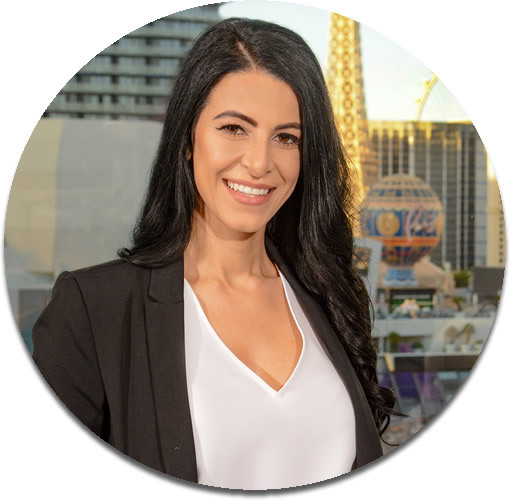 Dr. Nataly Gammoh, an optometrist, has been practicing in Las Vegas, NV and San Antonio, TX for over 7-years. She graduated from Inter American University School Of Optometry in 2011 and has specialized in optometry eye exams ever since. An eye exam helps detect eye problems at their earliest stage when they're most treatable. Regular eye exams give your eye care professionals a chance to help you correct or adapt to vision changes and provide you with tips on caring for your eyes.